The man who the Federal Government is trying discredit over his assertion that the Prime Minister's office lied about Iraq's weapons program, is unmoved and insists the Government was lying. Former intelligence officer Andrew Wilkie gave evidence to a parliamentary committee yesterday in Canberra accusing the Federal Government of "sexing up" its case for a war against Iraq. It prompted Foreign Minister Alexander Downer to described him as a "hysterical malcontent". But speaking at a conference in Sydney today, Mr Wilkie said Australia's credibility has suffered. "The Government lied every time," Mr Wilkie said. "It skewed, misrepresented, used selectively, and fabricated the Iraq story. "The Government lied when the Prime Minister's office told the media I was mentally unstable. "The Government lied when it associated Iraq with the Bali bombing and the Government lied every time that it associated Iraq with the war on terror." 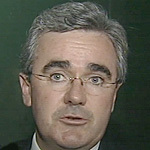 Mr Wilkie says the Government should be honest about Iraq since no weapons of mass destruction have been found. "I think it would be far more valuable, far more useful for this country if instead of attacking those who criticise it, the Government sought to explain in a sensible and honest way why there is such a gap between their justification for the war and what we all now know for sure," he said. The Federal Government says a review of all intelligence presented to it in the lead up to the Iraqi conflict supports the case it made to go to war.